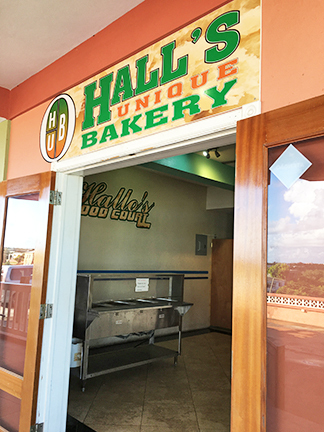 Conveniently located in South Hill, Hall's Unique Bakery was founded in 1990 by Mr. Andre T. Hall. 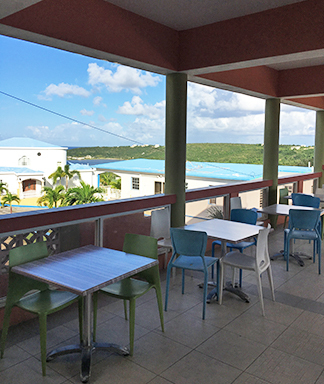 While this Anguilla bakery serves everything from sweets, to sandwiches and hot food, the inspiration for its existence all stems from the joy of giving homemade bread and coconut tarts to friends. Andre's mother and her love for baking made quite an impression on him. Enthused by the reaction of the recipients of his mothers' baked goods (especially the coconut tarts), he turned the notion into a business - Hall's Unique Bakery. The secret of the special coconut tarts was in the way his mother made them. Today, that same coconut tart is made with the same standards and with a few additional ingredients. In fact, the Hall's Unique Bakery coconut tart (which has been featured on the Food Network) has fans from as far away as Australia, Sweden and many throughout United States. 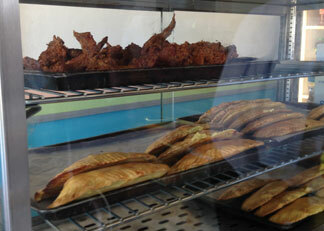 Patties are a hot item and come filled with kingfish, saltfish, chicken and beef. 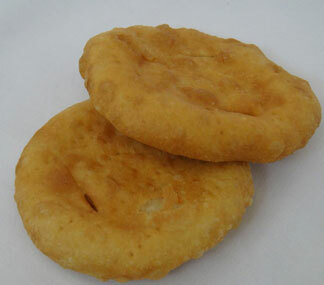 Alongside the patties are very delicious fry cakes (aka, johnny cakes) - a staple in Anguilla. The diverse menu does a nice job of displaying all of Hall's made-to-order offerings. Sandwich options start with your choice of bread: long bread (baguette-shaped bread that comes in both white and wheat), johnny cake (a more bread-like version) and big bun (large round bread). There's a wide variety of fillings for your Hall's sandwich: tuna, beef, ham, egg, sausage, egg, turkey, chicken, saltfish, butter, lettuce, tomato and cheese. 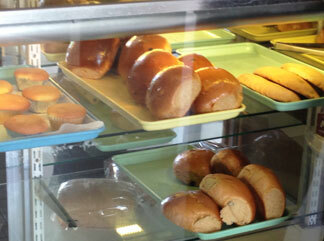 Eating at local bakeries in Anguilla really does help the budget and is usually tasty and filling. Hall's is no exception. Cheese and mayonaise is a popular local option as well as the tuna. I've always had a good experience from Hall's. As with many bakeries though, some items go more quickly than others. It's possible that as the day goes on, some favorites are sold out so get in early if you are craving something particular. Another important thing to note is Hall's Saturday Saltfish Breakfast complete with sailfish, johnnycakes, sauteed potatoes, eggplant, boiled organic eggs, bacon and plantains. During lunch time, Hall's serves hot food and that menu varies from day to day. The day I stopped in to speak with the owners, the hot food menu included: baked chicken drumstick/wing, vegetable pasta, meatballs, rice and peas, corn on the cob and plantains. Now that sounds like excellent comfort food. Add to that a very pleasant staff that works hard to get through the rushes of customers that frequent this popular spot. Even if it looks busy inside, don't be shy to step up to the counter and place your order. When it's busy, I've never waited much longer than 5 minutes to receive my order. Hall's does mostly take-out but there is a huge patio with tables should you not want to eat on the go. It's been said before... Anguilla bakeries are a fine way to eat decently and not dent your wallet. 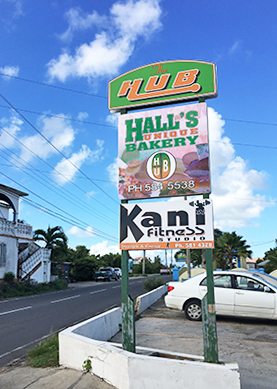 Hall's Unique Bakery is one of my favorites on the island and fortunately, it's centrally located. Directions: Hall's Bakery is located in South Hill - just past the Sandy Ground round about if you are coming from the east end (before the round about if you are coming from the west end). Hours: Monday - Friday, 6am - 1pm and Saturday 6am - 12pm. Closed Sunday.